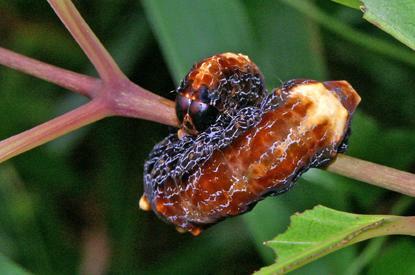 These Caterpillars are brown, with a pale knobbly back. 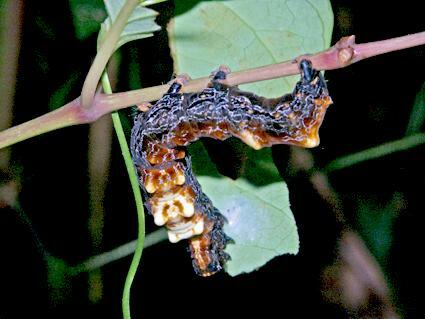 At rest, they coil in a knot around a twig. We have seen this unusual posture in only one other species, (curiously: in a totally different family) namely Stibaroma melanotoxa. 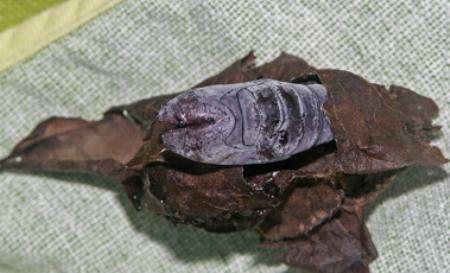 The pupa is brown, and formed in a nest of leaves joined by silk. 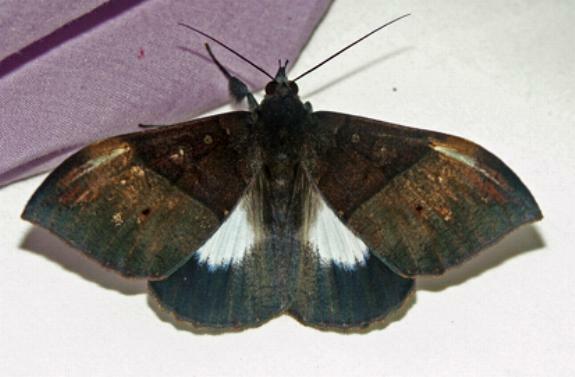 The adult moth of this species has dark brown forewings. The males have pale patches on the forewings. 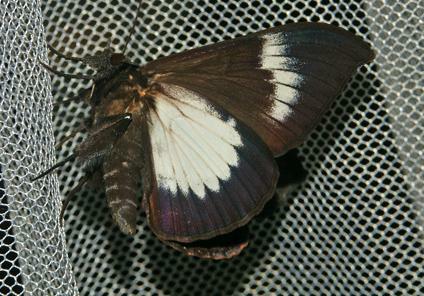 The hindwings are white with a broad dark brown margin. 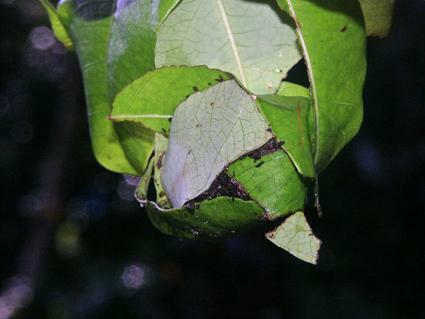 The moths have a slight purplish suffusion. 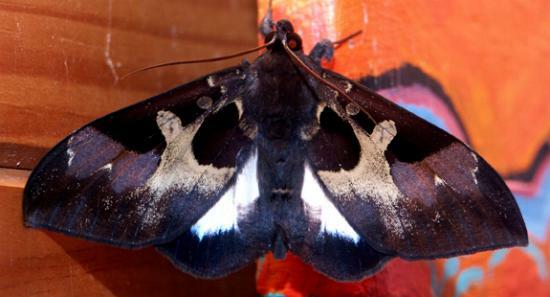 The underside is black, with a white bar across each forewing, and a large white basal patch on each hindwung. The wingspan is about 10 cms. LeapFrogOz, Kuranda, 2008, p. 5. LeapFrogOz, Kuranda, 2015, p. 143. Series 7, Volume 10 (1902), p. 498.